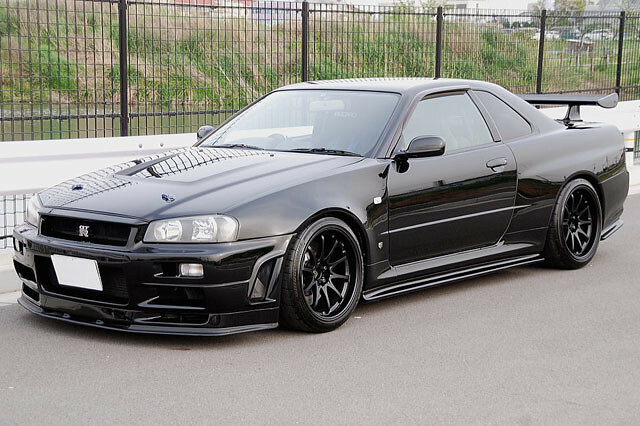 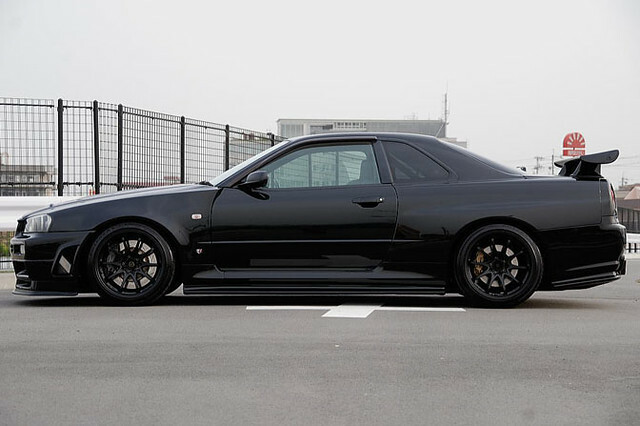 This one is more extreme than the other black R34 I shows you guys. 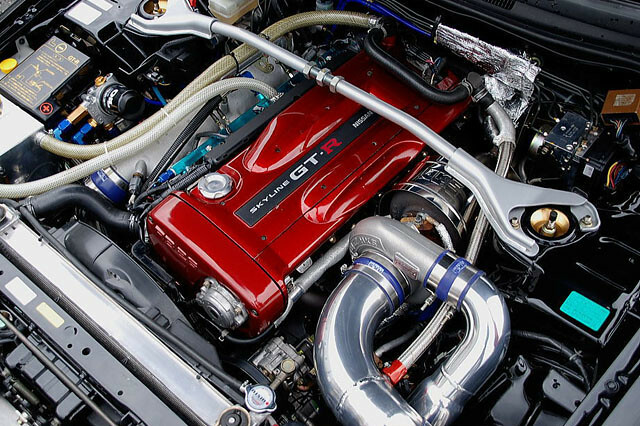 It has a 2.8 liter HKS stroker kit and HKS V-Cam Pro kit for better response. 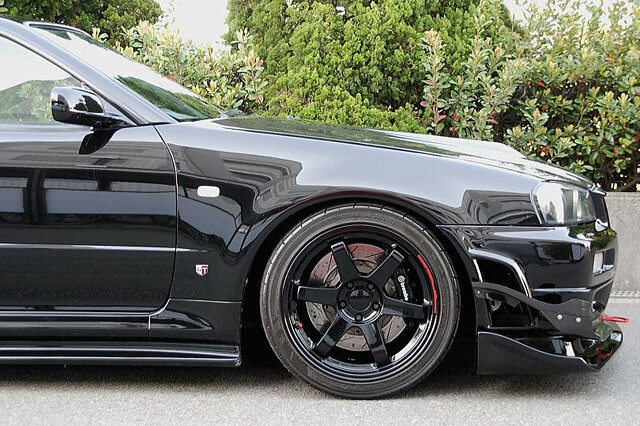 Other parts include the 18″ Volk CE28 wheels with AP Racing and Alcon brakes behind them. 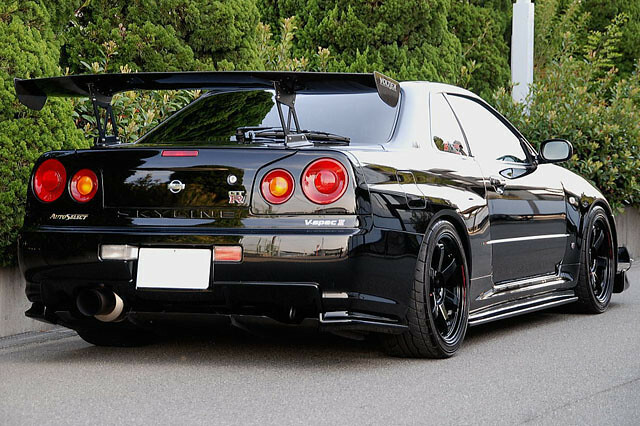 It seems that some customers of Auto Select are selling their cars. 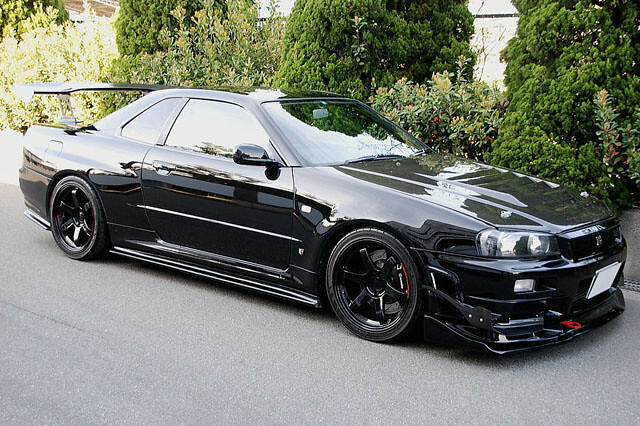 Just saw this black R34 pop up with a single T04Z turbo conversion, 18” TE37 wheels and a whole host of other parts. 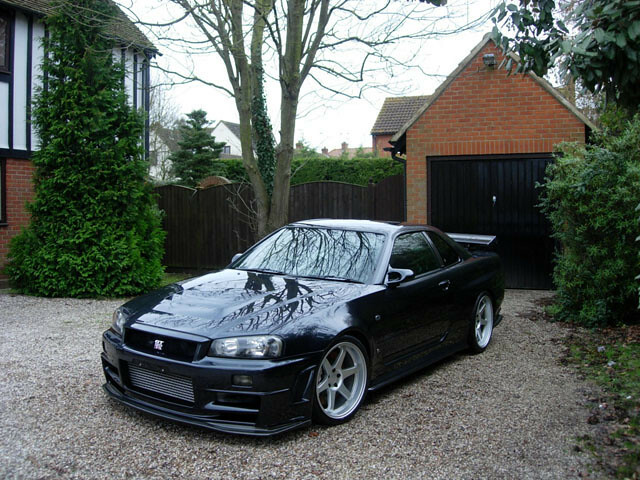 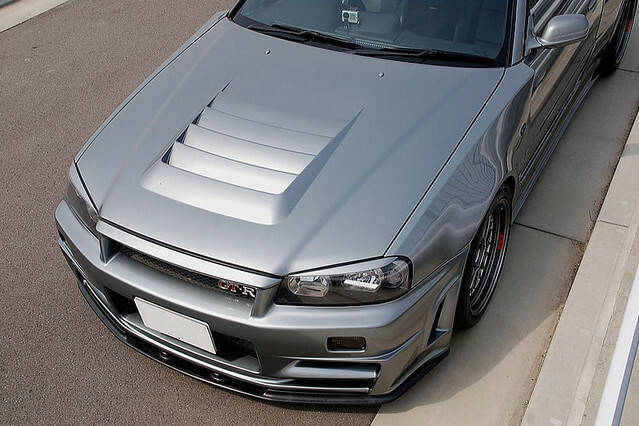 One of the most famous privateley owned R34’s arrived in the UK and belongs to a new owner now. 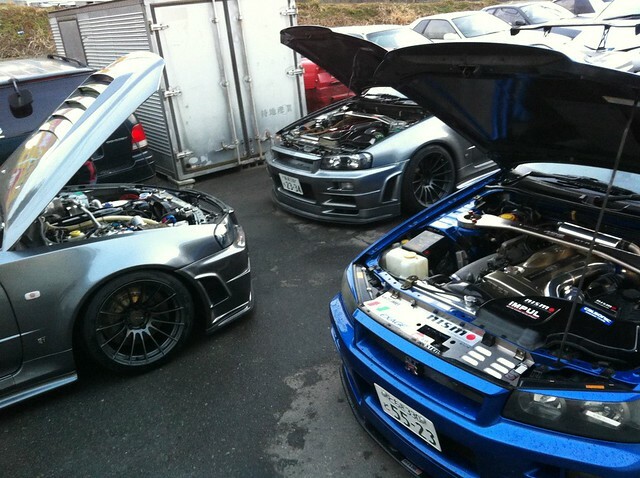 You can see more pictures of the car when it was still in Japan on Speedhunters. 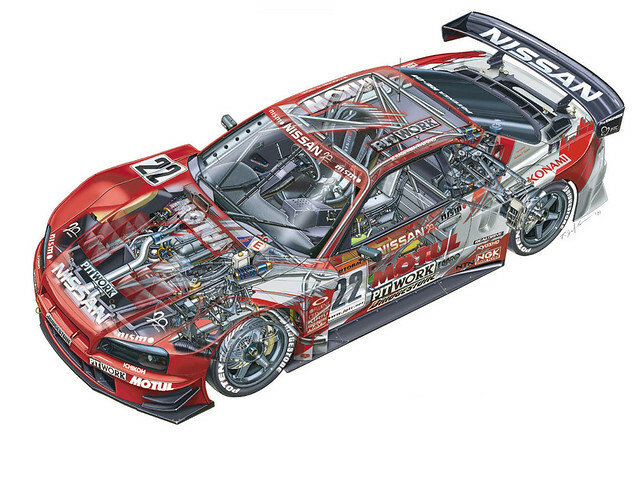 Looking through some of my old hard drives I came across this see through painting. 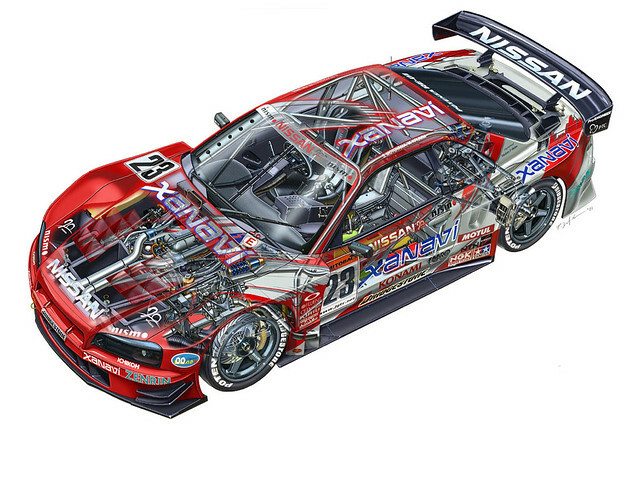 It shows a lot of the cool details like the VQ30DETT that powers this beast.